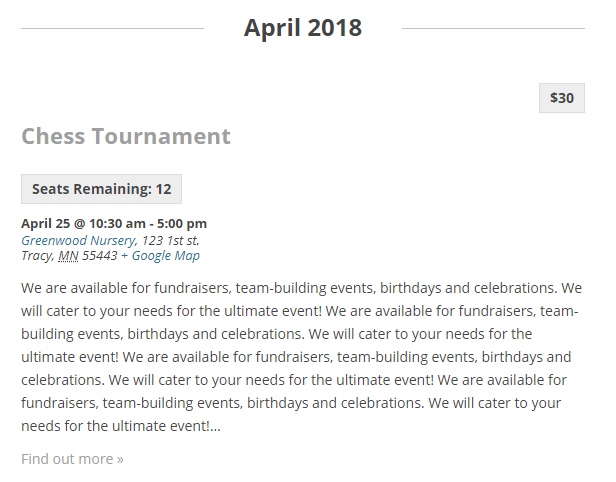 “The Events Calendar” by Modern Tribe is an incredible plugin not just because of how simple it is to use and all of the features it has for managing your events, but by how customizable it is. This is a quick tutorial about the basics of making some changes to the month (calendar), list, and single event views using a bit of PHP code and, in the case of the month view, adding a file to your theme. You can do just about anything with the templates and hooks (“Registrations for the Events Calendar “is built almost entirely on a few hooks from “The Events Calendar”) but this article is going to show you how to add the number of seats/spots/registrations remaining for your event collected using the extension Registrations for the Events Calendar. This is the trickiest of the customizations as it requires creating a new file and uploading it to your theme. If you follow the steps laid out below, you should be able to get this working easily enough. The first step will be to create a file and name it single-event.php. This can be done with a program like Notepad for Windows (comes pre-installed) or TextEdit on Macs. Just save a new file as single-event.php. Put the file on your desktop for easy access. Next, you are going to copy the existing code “The Events Calendar” uses to create each individual event you see on the month view. You will want to use an FTP client (like Filezilla) to view all of the files for your site. Alternativle you could use a program that can “explore” files on your host’s server available through something like CPanel. Open the file you created earlier (single-event.php) and paste the entire contents of the file from “The Events Calendar” you just found inside. Save your changes. After making these changes, save this file in a new series of folders with the file path suggested (tribe-events/month/). 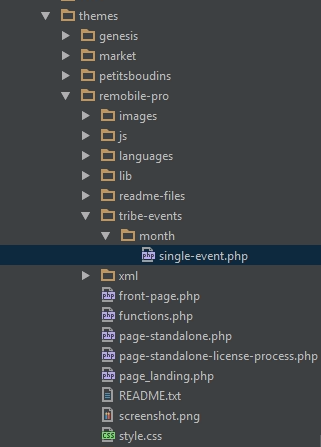 This breaks down to create a folder named “month”, move your “single-event.php” file into the “month” folder, then create a folder named “tribe-events” and move the “month” folder inside it. You can raise or lower the “47” in the example to move the tooltip’s position up or down. Adding things to the “list” view is made very convenient by a few PHP hooks that simply run code in a specific part of the template that creates each event you see in the list. The “Single Event” view is where all of the details of a single event are given including the full content and the google map if you activate your google maps API key. 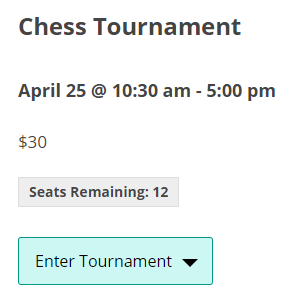 This is also where Registrations for the Events Calendar includes a registration form. Need help getting this to work or need to hire someone for an extensive customization? Contact support and we might be able to help.